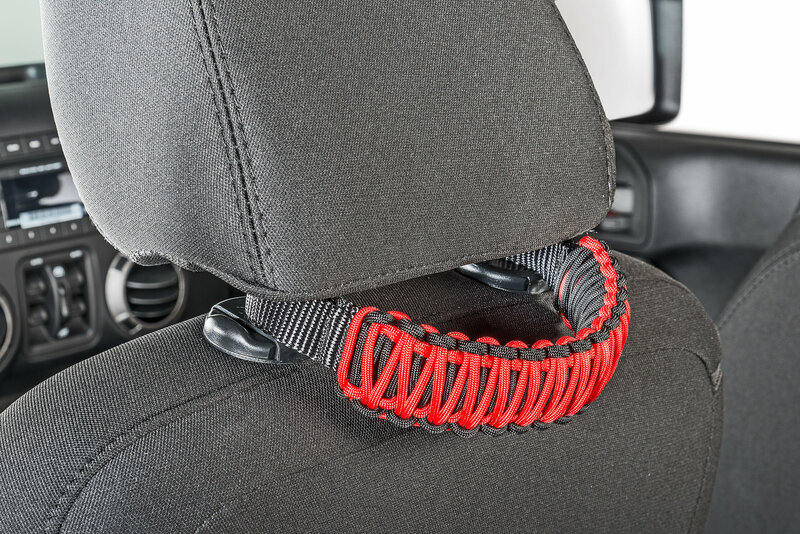 The new Bartact Heavy Duty Universal Paracord Grab Handles are rugged, yet comfortable, and allow you the ability to customize your vehicle even further with the numerous color options offered. 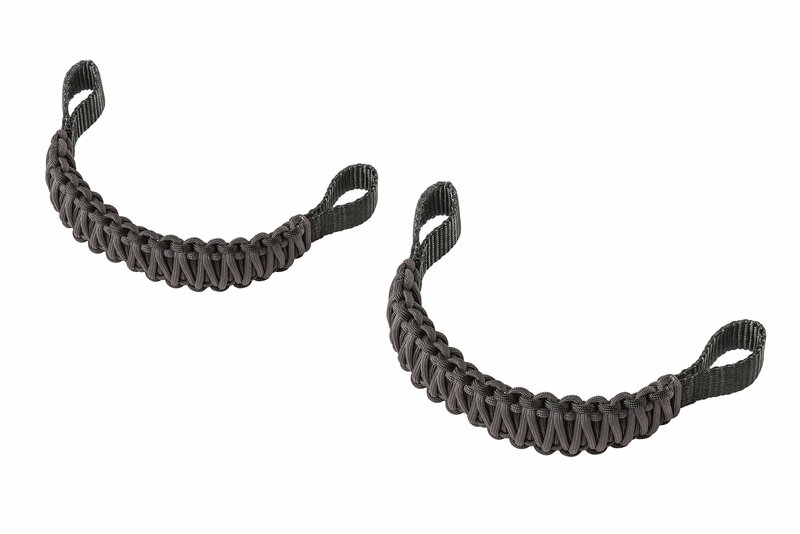 Paracord (also known as parachute chord) is a lightweight nylon rope originally used in the suspension lines of parachutes and is also commonly used in Military gear. 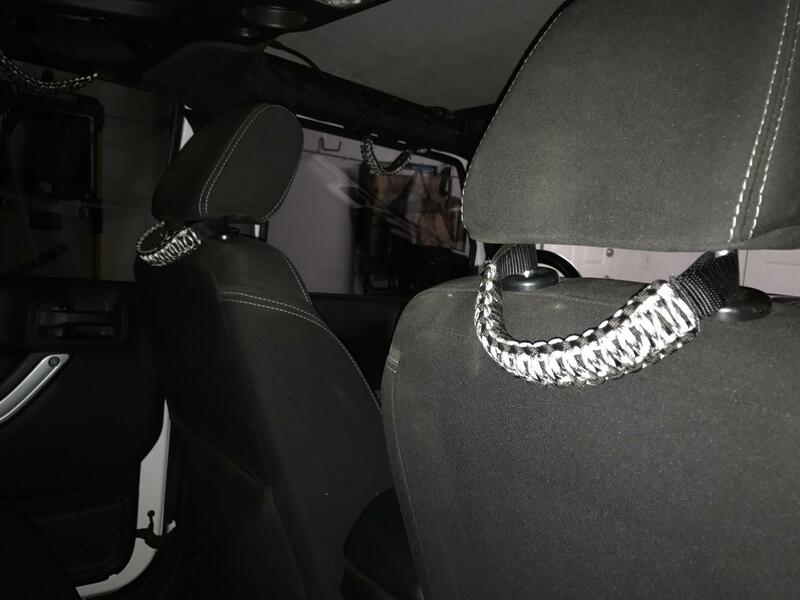 Each handle is hand woven with true American made 7 strand nylon paracord right here in the USA. Made in the USA! Hand woven true American-Made 7 strand Nylon 550 LB paracord. Heavyweight 2200lb nylon webbed base. 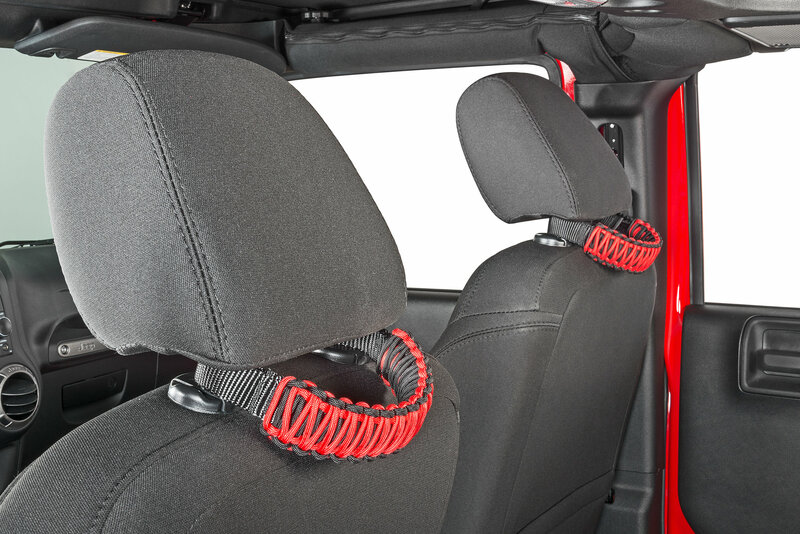 Absolute best ones for my Jeep , makes it easy for people in the back to get in as they grad this one first instead of the one on the roll bar!! These match my front ones and were easy to install.